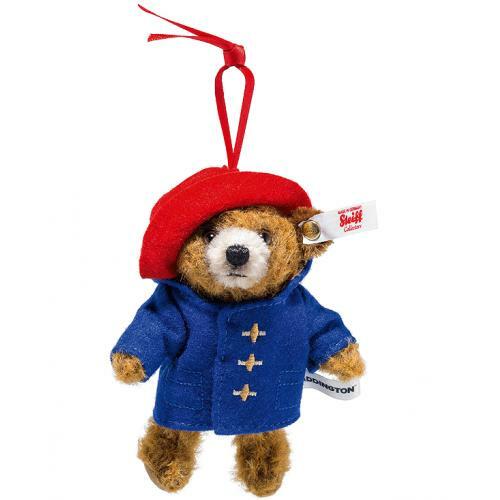 Paddington Ornament by Steiff. 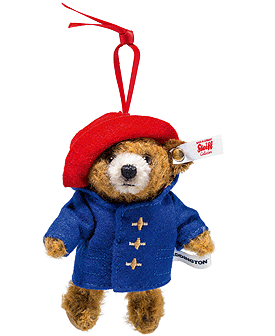 A beautiful 11cm miniature edition, by Steiff of the movie version. Hand made in rustic coloured mohair. His lovely wool felt coat and hat are stitiched to him. He also has two short ribbons, should you wish to hang him. This very special piece, wears the famous gold plated Button in Ear and white tag. Limited edition of 4,000 pieces worldwide.